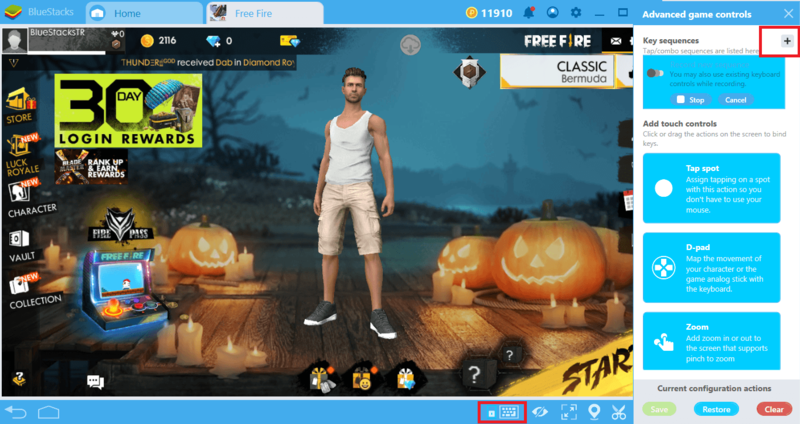 BlueStacks 4.2 brings a feature that will be very useful and advantageous for gamers: Combo Key. If you have used macros before, it will be quite easy for you to understand how this works. 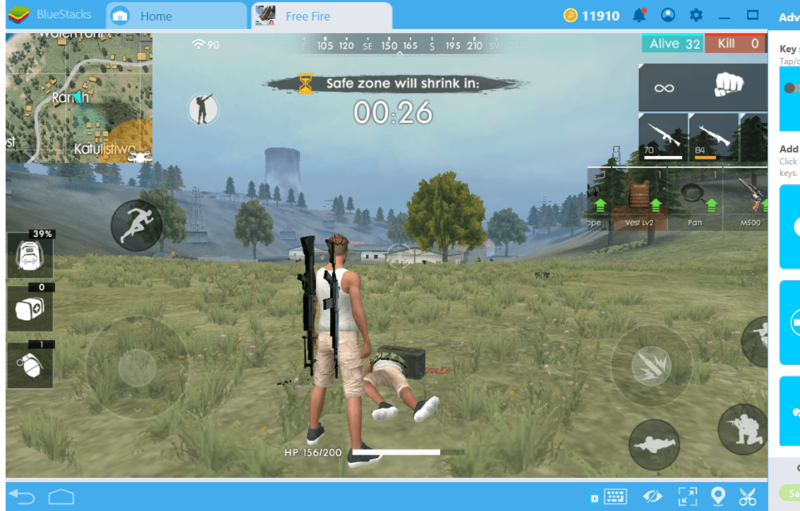 If you haven’t, prepare to be mesmerized by an entirely new gaming experience and have your creativity rewarded: Combo Key lets you record your all actions including key and mouse inputs and replay them with a single button – it is a macro recorder for Android games. 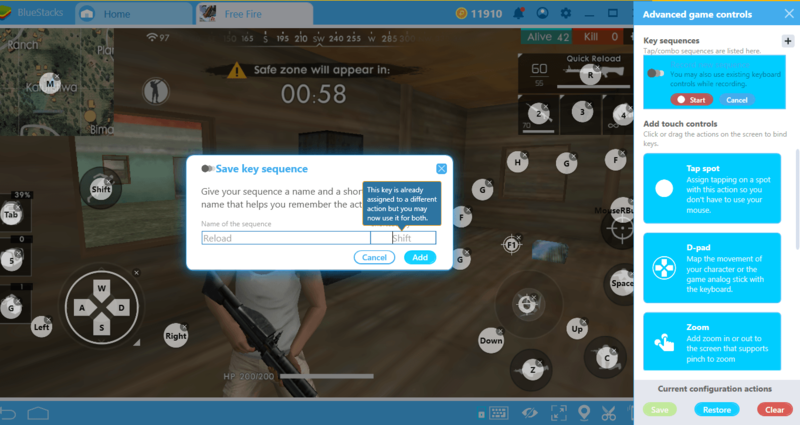 You can record any actions and clicks you make in games and replay them at any time with a single press of the ‘hotkey’. As can be guessed, such an advantage will be especially useful in competitive shooting games. 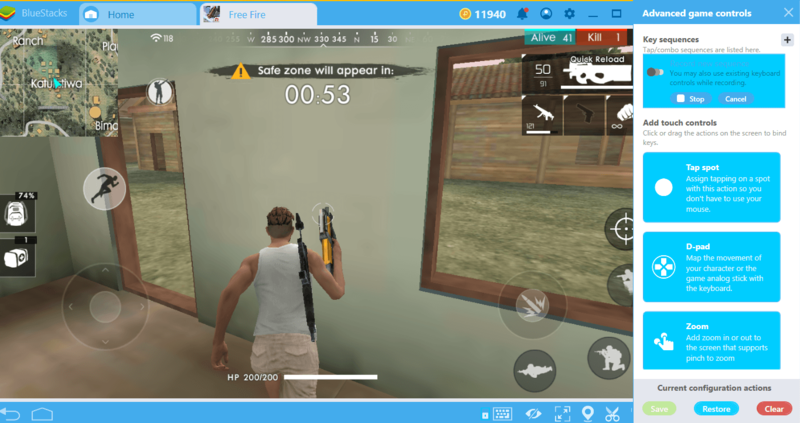 Free Fire is one such game: With the Combo Key feature, you can win much more easily on the battlefield. In this article, we’ll explain how you can do this. 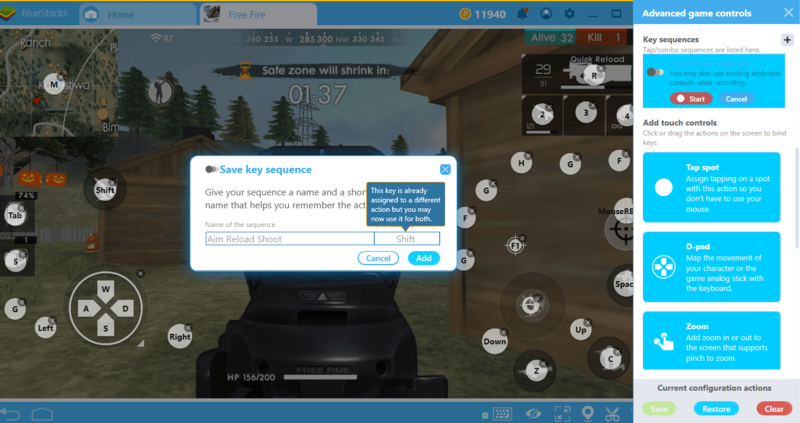 First of all, we recommend that you read our Combo Key setup guide, where you can find everything about how to activate this feature. 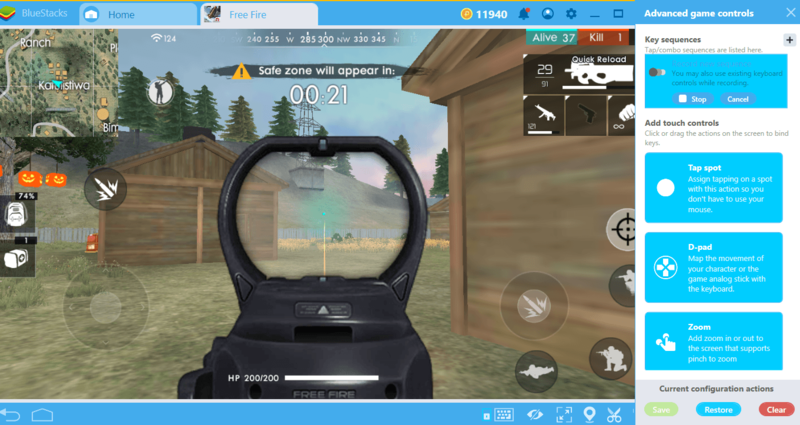 To remind you, you must press the keyboard icon in the lower right corner while the game is open and click the “advanced settings” in the pop-up window. You can start a new recording by pressing the “+” key in the upper right corner. So, how do you use this feature in the most creative way? Let’s look at some practical examples together. Do not try to shoot at this distance, prefer melee attack. If they do not have an armor, 3 – 4 punches are enough to kill an opponent. Since Combo Key works like a macro recorder, it will “swing” the punches for you in the future. Give your macro a name and assign a key. 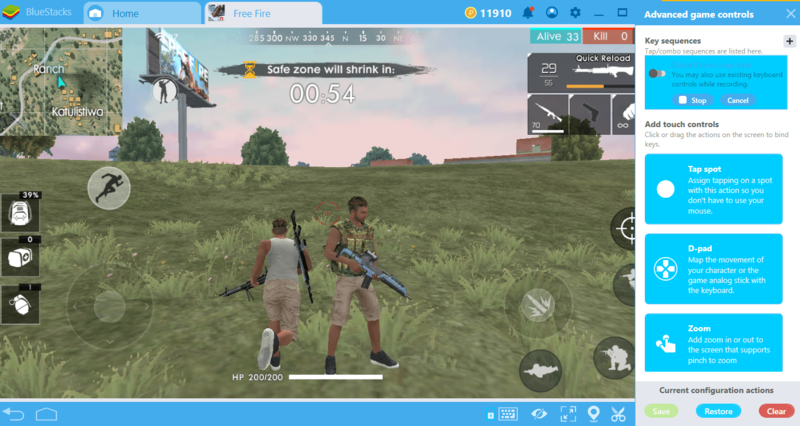 We guarantee that there will be no one else using this tactic: Nobody believes that you can kill opponents with fists, so everyone prefers to use weapons and has no idea what to do against an opponent in the melee distance. We reload the first weapon. Notice that we are still running. We will only have to remain stationary during the reload period and we will continue to run immediately. We reload the second weapon. We give a name to this action series. 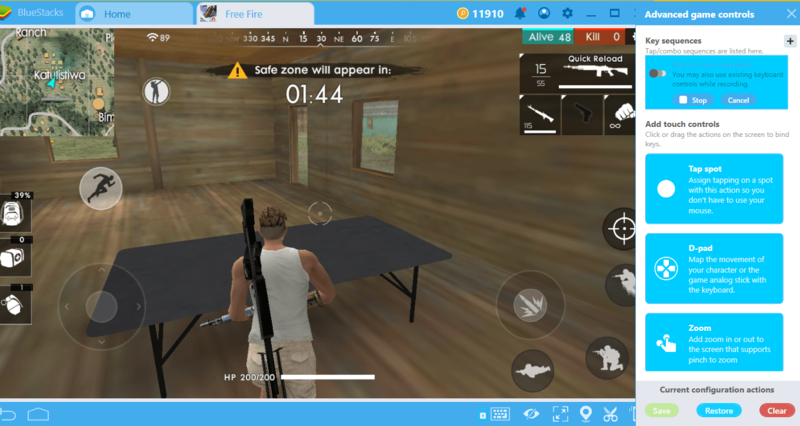 From now on, when you need to reload your weapons at any time, you can do it completely automatically and reduce the amount of time you stand still. If your health is low when combat starts, you already have a disadvantage. What you have to do is rejuvenate your health by using a medkit, get away from your opponent by running, and return fire with manual aim at first opportunity. The problem is that it’s not possible to do all of these perfectly each time: Even a simple delay or error can cause you to lose skirmish. However, with Combo Key, you can save a “perfect” scenario and use it every time. 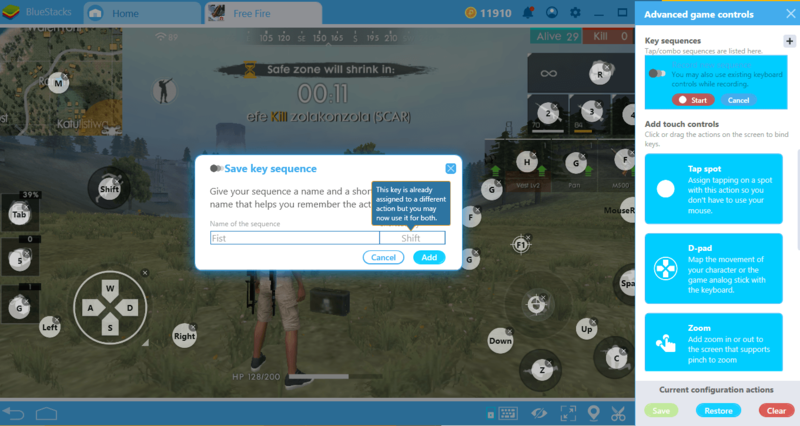 Record the moment when your reflexes are the best and keep repeating the same thing: With Combo Key, you can always bring your best to the game. Use the medkit. 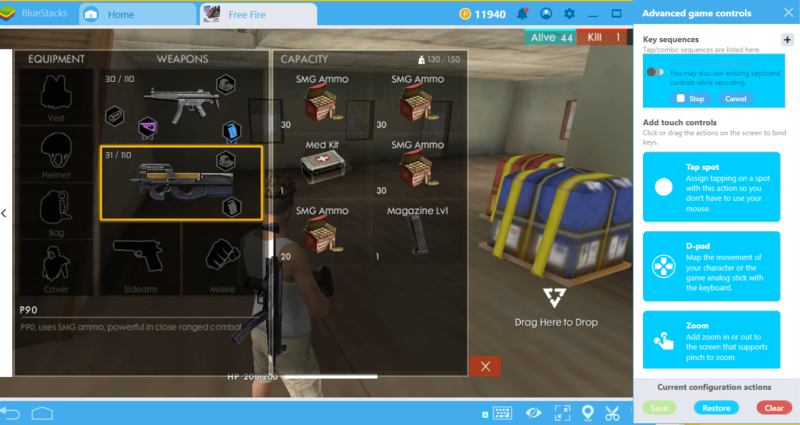 If you have assigned a key to the medkit with the BlueStacks keymapping tool, you can do this without having to open the inventory. Run away from the skirmish and try to find something to hide behind. Return fire with manual aim mode. Record this action chain and assign a hotkey. You can now use the perfect tactic every time, even if you don’t feel so perfect that day! 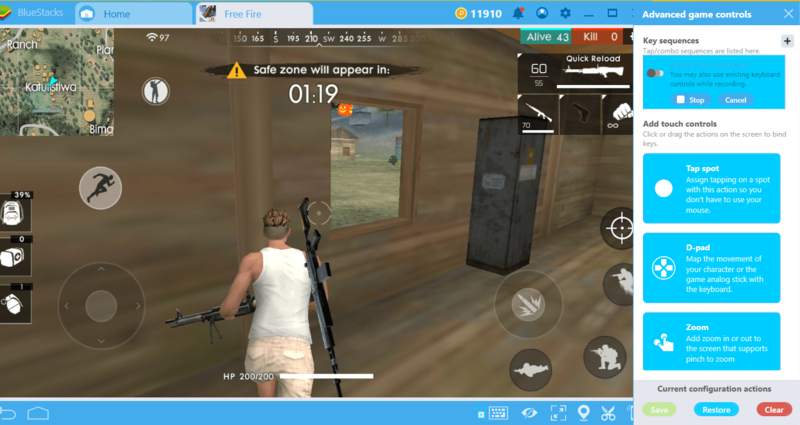 The Combo Key feature from BlueStacks 4.2 is available for numerous scenarios, it is just like using a Macro Recorder for Android Games. In this article we have just given a few examples: With some creativity, you can create your own perfect script and share it with us through comments. 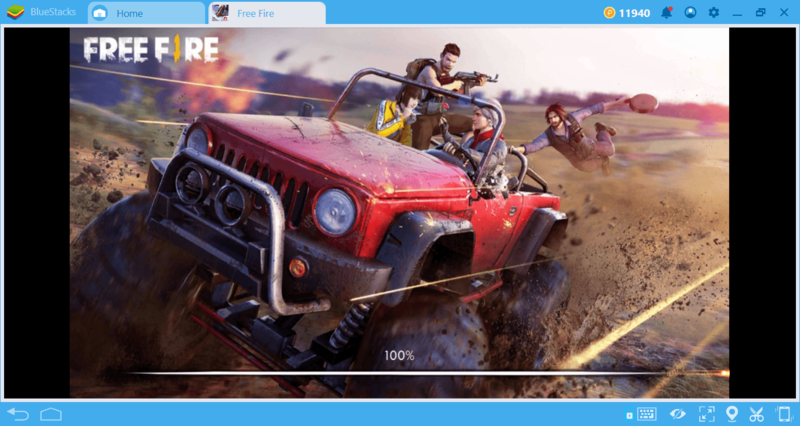 BlueStacks offers everything you need to take your gaming experience to the next level – take advantage of it today!